When will be Love Italian Style next episode air date? Is Love Italian Style renewed or cancelled? Where to countdown Love Italian Style air dates? Is Love Italian Style worth watching? There's a saying: "To live your best life, go where you are most celebrated." For these African-American women, that place is Italy. In this series, relationship expert Diann Valentine takes five beautiful, eligible bachelorettes who can't find a good American man, all the way to Italy, aka "Mecca," where she breaks them down and builds them back up to be open to love. Love Italian Style sounds as sweet as gelato, but it's not all gondola rides and delicious wine for these single ladies, who live under one roof in a decadent Roman villa, potentially vying for the same men and keeping one side eye on the ultimate prize: a hot Italian husband. Love Italian Style next episode air date provides TVMaze for you.  EpisoDate.com is your TV show guide to Countdown Love Italian Style Episode Air Dates and to stay in touch with Love Italian Style next episode Air Date and your others favorite TV Shows. Add the shows you like to a "Watchlist" and let the site take it from there.